13m is the the new 12m? Road going vehicles in India, are regulated through Motor Vehicles Act, 1988. Though the current regulation is in existence since 1989, it has its origin from 1914, Pre – Independence era. After this, major change was done in 1939, and subsequent revision and release was done in 1989. This regulation decides how much load a truck can carry with the given number of axles, what can be the overall dimension of a vehicle and so on. For example a single axle truck or bus can carry maximum 16.2T, a multi axle twin tyre tandem rear axle truck can carry 25T, a multi axle rigid vehicle can be of maximum 15m in length etc and so on. So when some of the regulations are new, few of them haven’t got updated since long time. One such is the legal length of single axle rigid vehicles. Currently a single axle truck or bus can be of maximum 12m in length. This was similar to what Europe had sometimes back. But considering various reasons the overall length is now extended upto 13.5m in Europe. Now India is looking to deploy the same and so we may see a new revision in current regulation to increase the length from 12m to 13.5m for a single axle vehicles. This is currently in the preparatory phase and will take sometime to get amended and here we share some inputs on same. Every bus will have maximum sealing to carry number of passengers. So when overall length is increased, same bus can carry more passengers upto 15%. In current scenario to carry 500 passengers earlier we may require 11 buses and now if the length is increased to 13.5m, we may require only 10 buses. This translates to equivalent savings on fuel, reduced emission and overall reduction in number of vehicles on road. Though there will be marginal increase in initial price of bus, running a single axle bus will have lesser total cost of ownership and will have better operating economics for fleet operator. Single axle vehicles has reduced toll rates, lesser tyres means lesser running expense, more passenger and hence more revenue. Higher passenger carrying capacity is one underlining fact for huge popularity of multi axle coach in recent days. This coupled with lesser operating cost will improve the margins of fleet operator largely. Bus based mass transportation systems like BRTS, will see its full benefit. Currently India has very limited BRTS running across, and we have limited success baring few like AJL, Ahmedabad. Many cities don’t have road map for BRTS or implementing with limited focus unlike what is done for Metro. But when BRTS takes its shape in a better way sometime later, more passengers can travel in lengthier buses and will eventually reduce the overall turn around time for passengers. Complimenting to increasing the length is increasing the GVW of single axle vehicle to 18T from 16.2T. Ideally when the length is increased, we have provision to carry more load and so regulation should permit that. Hence increasing the GVW is already amended and this help goods transportation in a larger way. 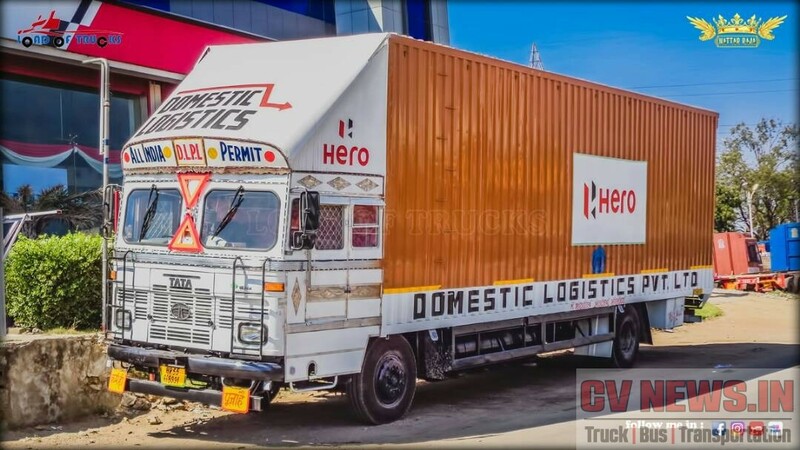 Two Wheeler transportation, agricultural tractor transportation, white goods transportation, courier and parcel carriers etc are few of the applications which will get benefited largely. Tata 1613 – Two wheeler carrier. This doesn’t mean that 13.5 m buses and trucks are ‘The Best’? It has lot of challenges technically. Lengthier the vehicle, difficulty in manoeuvrability. Negotiating sharp turns, driving within city in tight spaces are all difficult. This also increases the traffic within city as it occupies more road space. When driving in ghat sections, it will make it extremely difficult for vehicles to over take it. But apart from this when used in right application it has lot of benefits. By bringing this change we may expect some changes in the existing products and few products may become obsolete. We may expect variants in the existing products beyond 12m to 13.5m. It depends on application. Stage carriage buses are now gradually migrating to 12m from existing 11m in few markets and ideally we may see them going to 13m before shifting completely to full 13.5m. Similarly for City buses application as well. 13.5m buses may not be versatile to operate in every routes within cities and so a gradual increase in length from 12m to 13m. Similarly for an Intercity application, we may see a newer variant to suit max number of berths and seats within the boundary condition. A rear engine multi axle 13.7m bus may loose its popularity if a single axle coach has better operating economics. When traditional front engine buses goes beyond 12m, it may offer a stiff competition to multi axle coach in terms of passenger capacity and may further reduce the overall volume of multi axle coach segment in India and multi axle coach volume will be limited to few hundreds if not crossing 1000 number per annum landmark. The single axle 12m coach segment is currently in a down trend for last several years and this change in regulation may revive the segment largely. 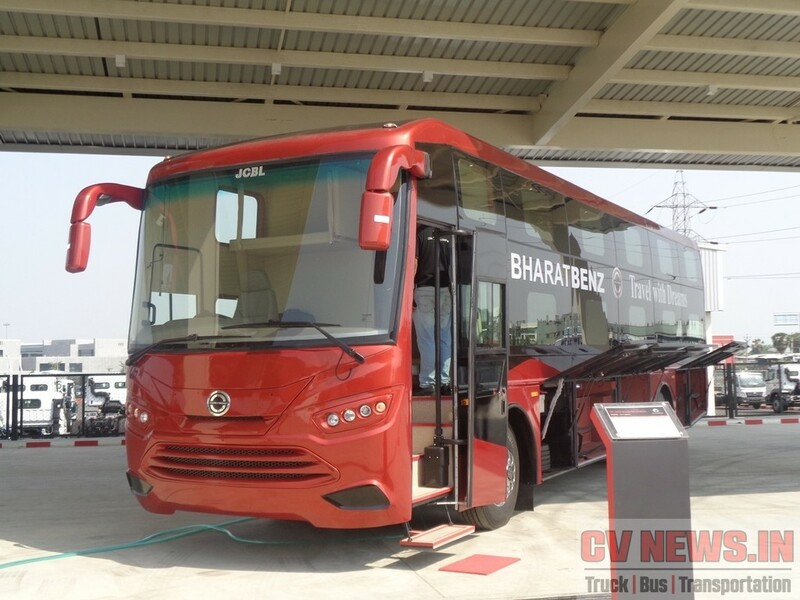 For companies like Ashok Leyland and Tata motors who are working on multi axle coach may need to revisit their strategy, as having a full spec multi axle coach alone will not help them get sales. An equally competitive single axle rear engine coach, matching to new regulation should be available to compliment the higher capacity rear engine multi axle coach. So will there be only single axle coach upto 13.5m? Not necessarily be? In Europe extra axles are provided on shorter buses and coaches to accommodate extra loads, such as passenger lifts, toilets, televisions, climate controls. In addition, in some cases the need is bus cargo transport, when large cargo compartments and heavy weight of cargo needs extra axles. In MH sometime back there were cases of operators being fined when the GVW of buses were higher than they were allowed. This was an issue with Volvo B11R, and some operators were levied fined as well. So there could be a multi axle variant but the volume will be limited. We expect, this change in regulation will have a considerable impact in the heavy bus volumes in a long term. There will be change in segments and new sub-segments may develop in due course, especially in bus segment. When we move towards better emission, we definitely need to have updates in the current regulations, as this. 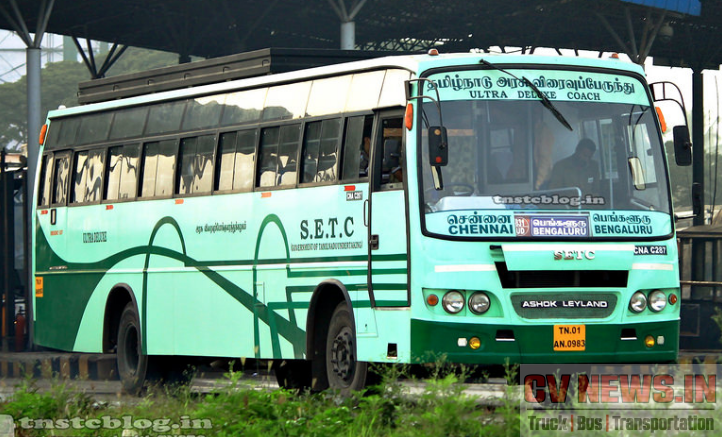 Value Rear engine multi axle coach – Potential space untapped by bus Mfrs. 1 Comment on "13m is the the new 12m?" I have seen 4×2 16T trucks carrying voluminous goods.